I have never learned to tweak CSS (and I am sure it is a lot of fun!). And having to rely on a generic “off the shelf” blog design always lies heavy on my conscience. Luckily, the guys from FontShop have come up with a genius web tool called FontFonter to make me see the light and finally do something about it. This is a great product experience as well as a brilliant sales tool. 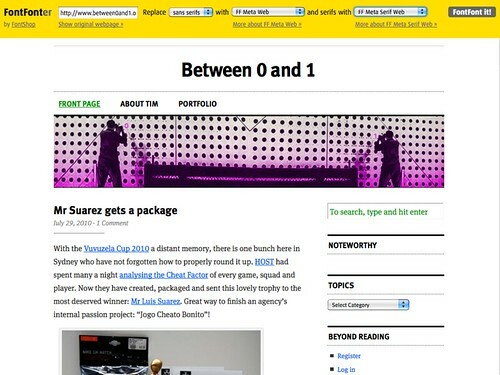 Go on and quickly discover a better look for any site at http://fontfonter.com . And make sure to try the Meta typeface. 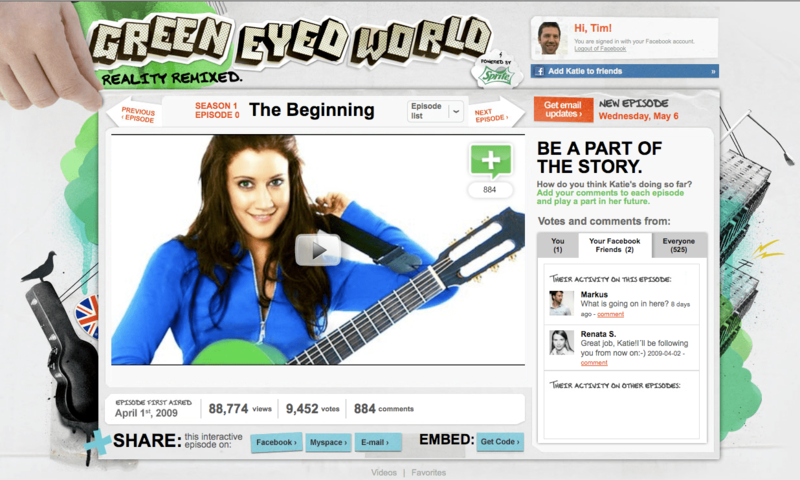 If I can dream of a real-time worldwide and interactive audience…then I am Simon Fuller. Fuller’s new reality show “If I can dream” circumvents regular TV stations and gets a straight Hulu/MySpace release (worldwide). Which – given the heavyweights behind the project and the sponsoring brands Pepsi and Ford – does raise some eyebrows in the TV and marketing world. Apparently it will mark the beginning of Disney’s Hulu being available beyond the US market. 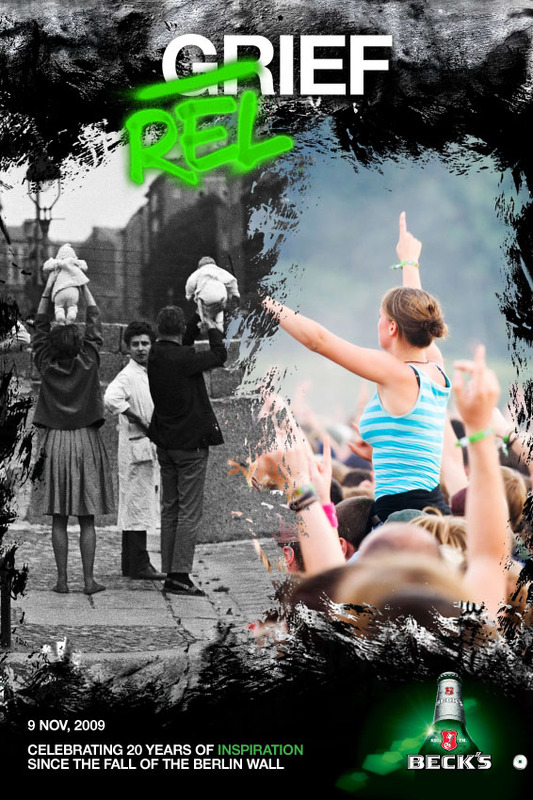 Its concept fuses shows like MTV’s “Real World” (currently in its 22nd iteration) together with a global real-time, interactive audience. Reminiscent of Sprite-supported “Green-Eyed World” that cleverly integrated, emulated and (to a certain extent) faked real-time interaction with its viewers. Not being 100% live naturally has advantages for footage, editing and story lining quality. Especially when you are so much on the road as Katie Vogel and the production team were in their show. But participating as a real-time-interactive audience will have a strong appeal. Additionally, the attractiveness of “If I can dream” contestants, narrative and set will easily outshine the average hapless Big Brother cast and their demeaning challenges in their drab cage container. I happen to have worked on the first “The Real World” in Germany, so I have a soft spot for any kind of “let’s stick some talented and aspirational kids under one roof and see what happens”. 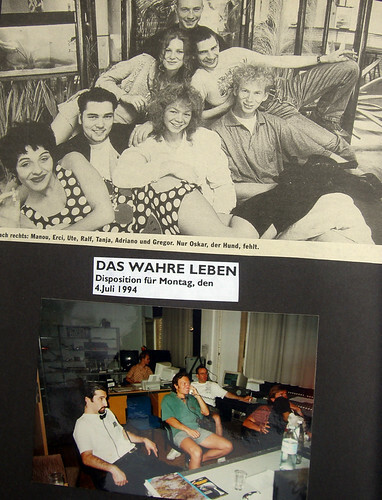 Our production under the title of “Das wahre Leben” (background in German) ran in 1994 and pretty much set the scene for Big Brother and the like. 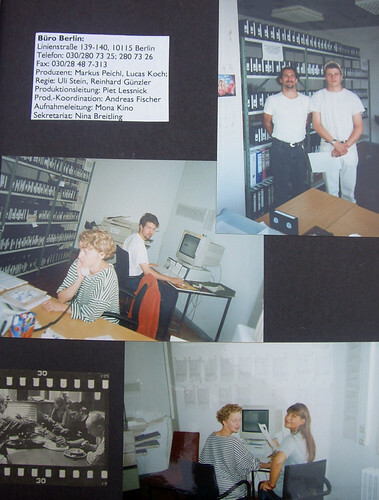 It employed one of the first large scale digital post productions with all Avid systems available in Germany at the time crammed into our editing rooms. Post Production on the 12 episodes happened on 4-5 episodes in parallel, and under the same roof as the set. We were only a couple of weeks behind the “reality” happening in the fancy loft next door in Berlin Mitte (Linienstrasse). This episode shows (in German) the extraordinary circumstances and the frantic pace with which we produced the show at the time. Excuse the heavy compression, I did it at the time so my movies would all fit onto one CD-ROM. It was extraordinary because hardly anyone knew exactly how to produce such a show. It was a process of rapid-prototyping with constant refinement loops over the course of the episodes. It was also extraordinary because in our 12 hour / 7 days a week style of production, we were rapidly feeling like we were living the lives of the cast, only with a delay of a week or so. 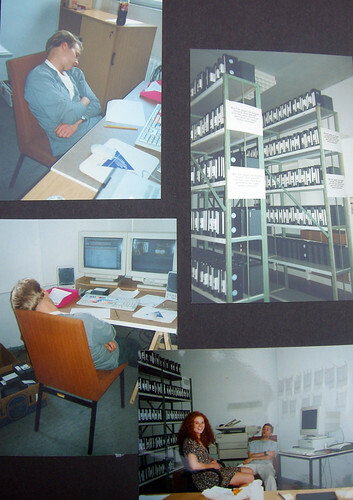 Unbeknown to the cast, we were working next door in former rooms of the Nationale Volksarmee (the East German ‘National People’s Army’). Quite a clash of (at the time) cutting edge technology with socialist-style interior. Btw, I am the guy rocking it at the Apple Performa computer in the second shot. Post production on "Das wahre Leben"
Post production at "Das wahre Leben"
It’s been a while but I am still amused and inspired by my meeting with Casey Spooner at Melbourne Festival. During a hectic but very enjoyable “brand immersion day” with Beck’s I was able to meet Casey back stage. The camera work is a bit wobbly and Casey had a funny way of rambling and theorizing. Still, I was lucky to get a lot of shots during their performance without getting pulled by the bouncers. Practically half the audience was recording with mobile phones and cameras at any given point (makes clapping your hands after a song difficult). This interview was the first for Beck’s Uberselektor with Alex Barck from my (student day) heroes Jazzanova. Alex and his crew have sonified many of my Thursday nights at the WMF in Berlin. It was clerarly a rubbish idea to only bring the camera and no separate microphone (I think we didn’t even have one at the time). Roland Appel is from equally good pedigree in terms of electronic music, creating some memorable tracks under the names of Truby Trio and Fauna Flash. He is easily as friendly, approachable and professional as Alexander and a pleasure to interview. Both interviews were done at Future Classic’s studio/office space in Redfern. The more to the point your question, the better they get in coming to the point. Although, Germans love to over-explain and analyse. The more energy you put into your questions and into the exchange, the more energy you will get out of your interviewees. Use open questions like “Take me through this experience”. Don’t hesitate to redo a question if the people lost their train of thought – the second time they will feel more comfortable with the topic and have a more polished version. Unless you go beserk with the camera people will tolerate a bad zoom or pan in an online video. Bad sound cannot be ignored, especially on the computer where the output device is weak in the first place and mostly played in a noisy environment. Headphones and earplugs might help but you cannot bank on people having them ready or care enough to plug them in. Watch out for background sounds that interfere with the voices. Unless you start editing you never fully understand what you have missed filming and what you can do better next time. Shoot the extra scene of your interviewee getting ready, heading out or something else that can serve as a “cut away” scene. Nobody enjoys a talking head for more than 20 seconds online. Underscore visually what the people are talking about. Beck’s wanted to celebrate 20 years of Inspiration since the Fall of the Berlin Wall and put Holler in charge of creating a campaign for it. 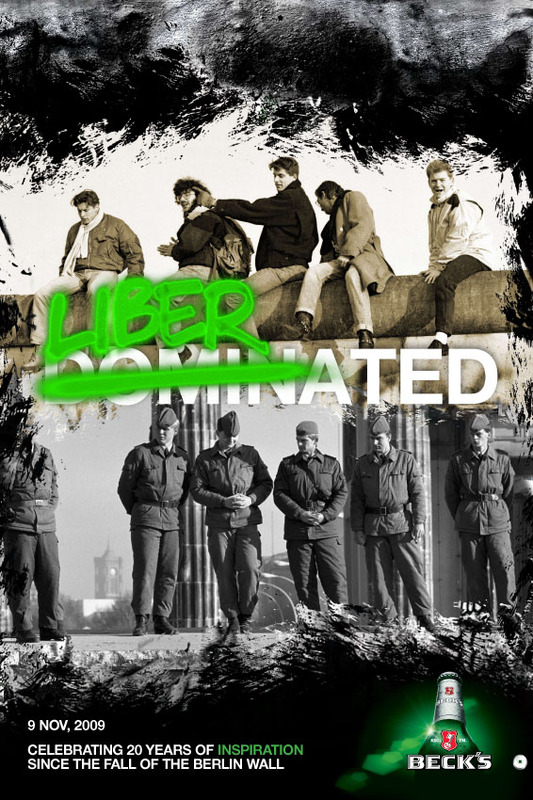 In addition to the photo exhibition in 4 venues across Australia (see animation in my first post) we juxtaposed images of the past (border guards and Berliners watching the wall being erected) with the joyful, liberal and expressive Berlin of today. The three headlines show three transitions: “Oppression to Expression”, “Dominated to Liberated” and “Grief to Relief”. These photos form an exhibition I curated/commissioned for Beck’s. It opens on Nov 1, 2009 in four venues across Australia. Check the Beck’s site for details.For me it is bit of a journey into my own past as well as showing the contemporary Berlin. 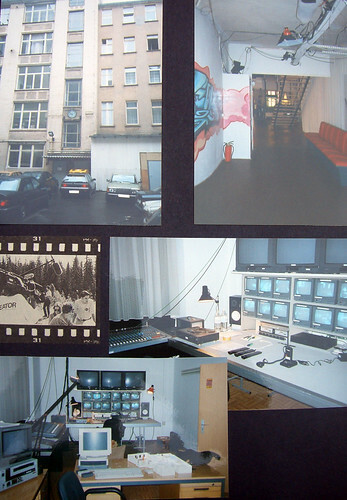 Most of these places of improvisation, experimentation and creative expression were very much part of my student and early professional years in the always-changing city, Berlin. And since I am German and vividly remember the wall coming down I am celebrating 20 years of reunification, of my people peacefully overcoming such a horrendous monument. Maybe something you start appreciating even more when you move far away.